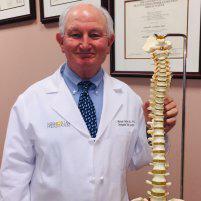 Testimonials & Reviews - The Woodlands, TX: J. Michael Graham, M.D. Dr. J. Michael Graham always appreciates feedback from his valued patients. To date, we’re thrilled to have collected 9 reviews with an average rating of 5 out of 5 stars. Please read what others are saying about Dr. J. Michael Graham below, and as always, we would love to collect your feedback. Was quick to get an appointment and didn't have to wait to see the doctor! It was that way on both appointments! Dr. Graham and his staff provide excellent care and concern for their patients along with a wealth of expertise. I trust Dr. Graham will all of my spine concerns. Dr.Graham got rid of my pain as he said he would . He doesn't waste much of you're time in office , in and out quickly . Efficient office staff . All around good experience over all . The only Dr. I trust!